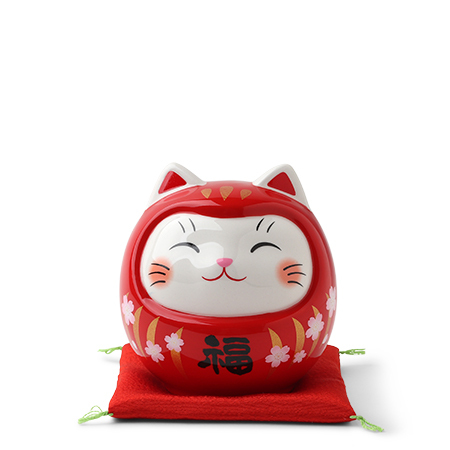 Red ceramic fortune cat dressed as a daruma for double the luck made in Japan. 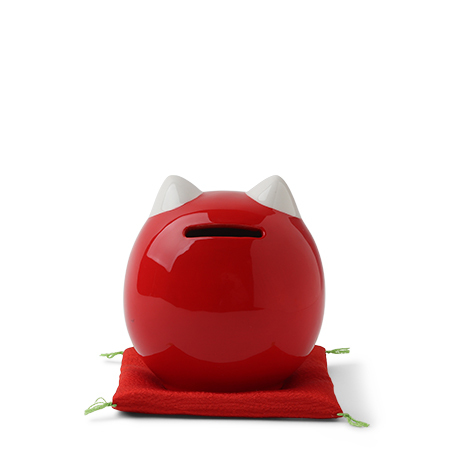 Daruma Fortune Cat Bank 3.75"
What happens when you cross a fortune cat with a daruma? You get double the luck and double the cuteness! 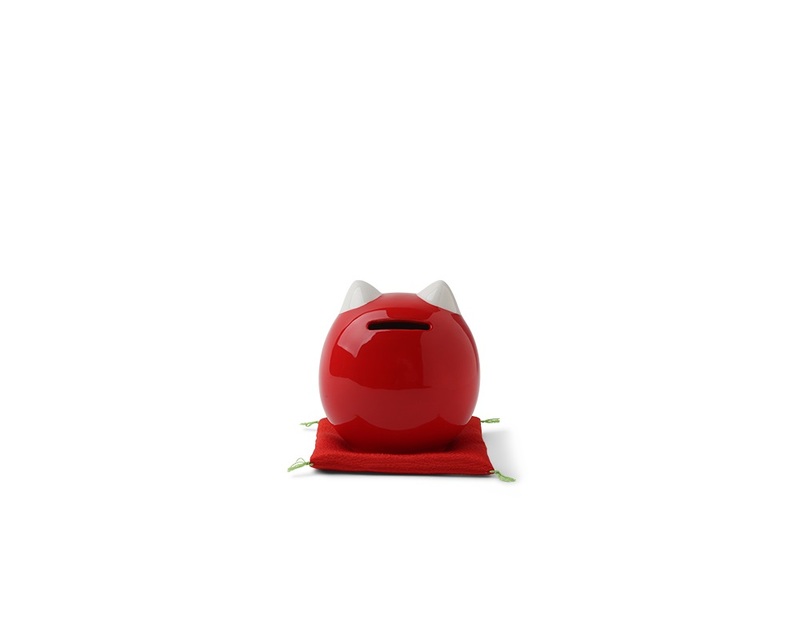 It's like the turducken of fortune (except with just two things...and not edible. Please don't eat it.) 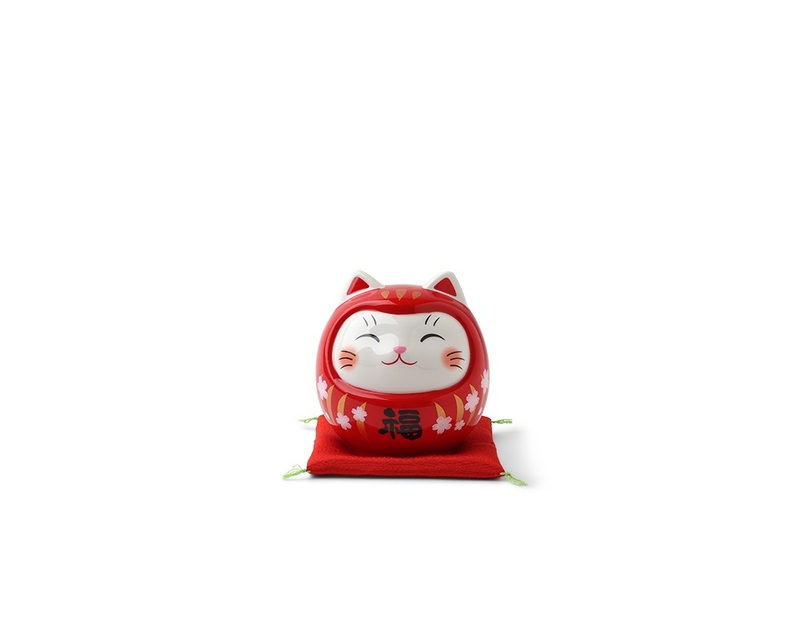 Small coin slot on the back of figurine. Mat pillow included.